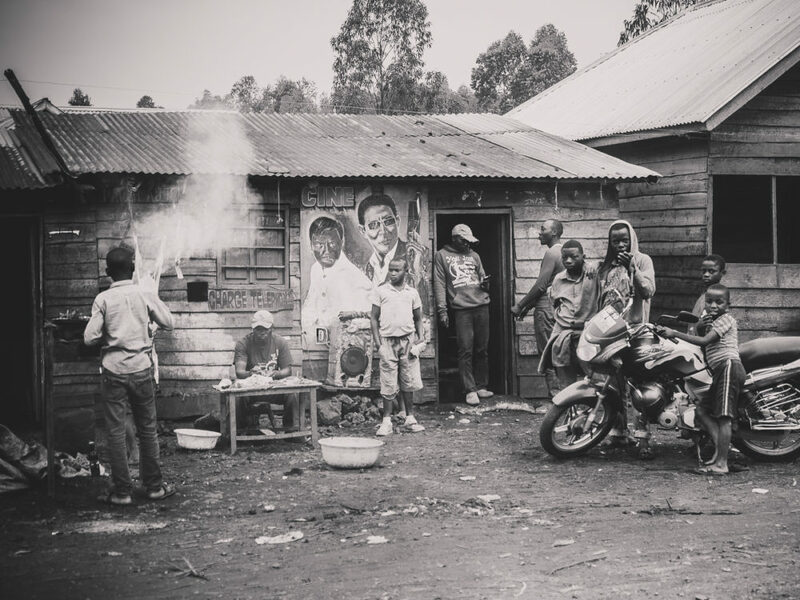 An attempt to record contemporary life in Kivu, the eastern province of the Democratic Republic of Congo. 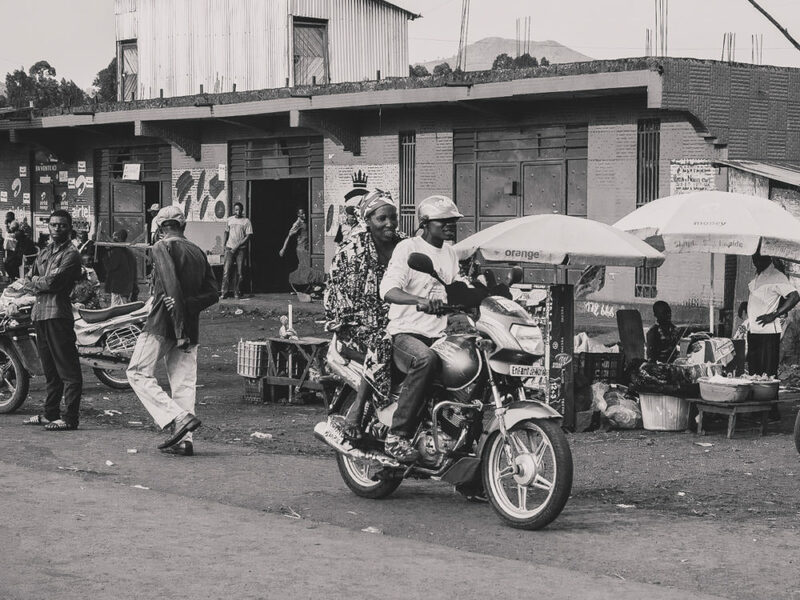 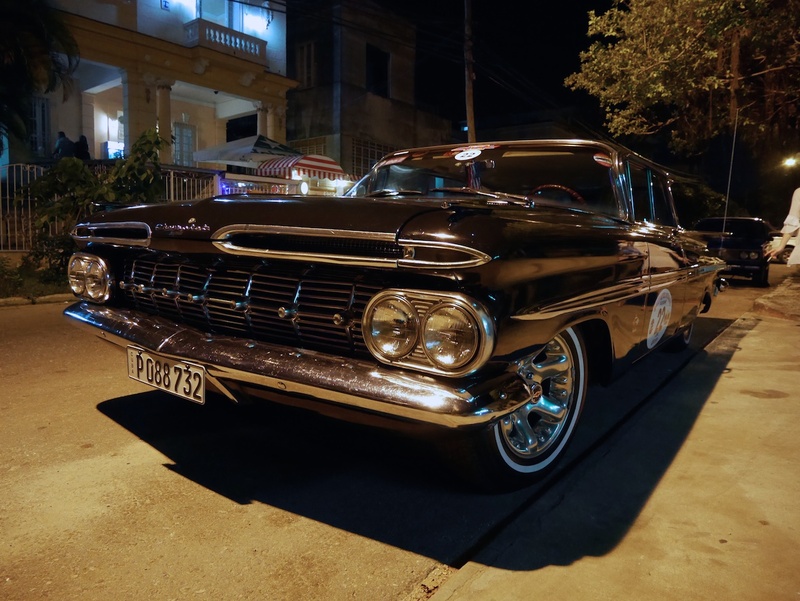 While visiting Goma and Bukavu, most of the pictures were shot from a vehicle. 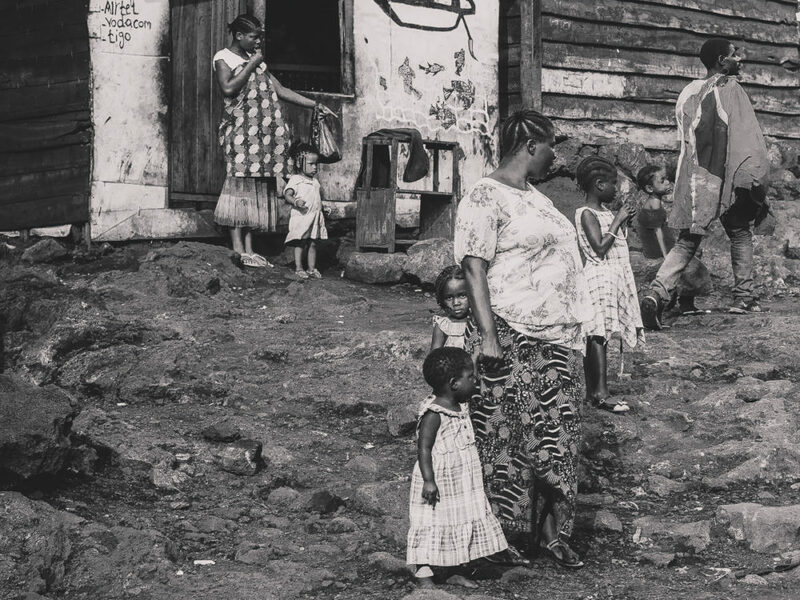 DRC is one of the poorest nations in the world, practically a failed state, with mineral reserves that amount to $23 billion. 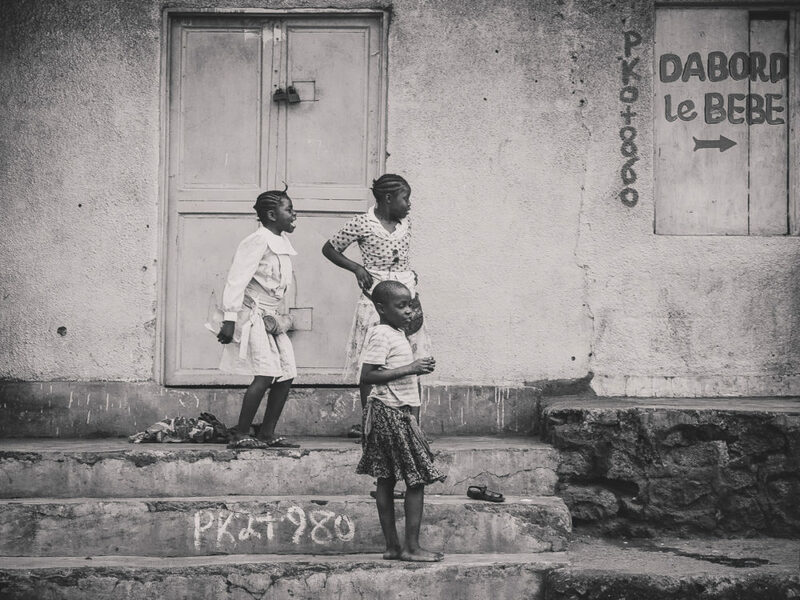 A family dressed in their Sunday clothes, in the poor neighborhood overlooking the port of Goma. 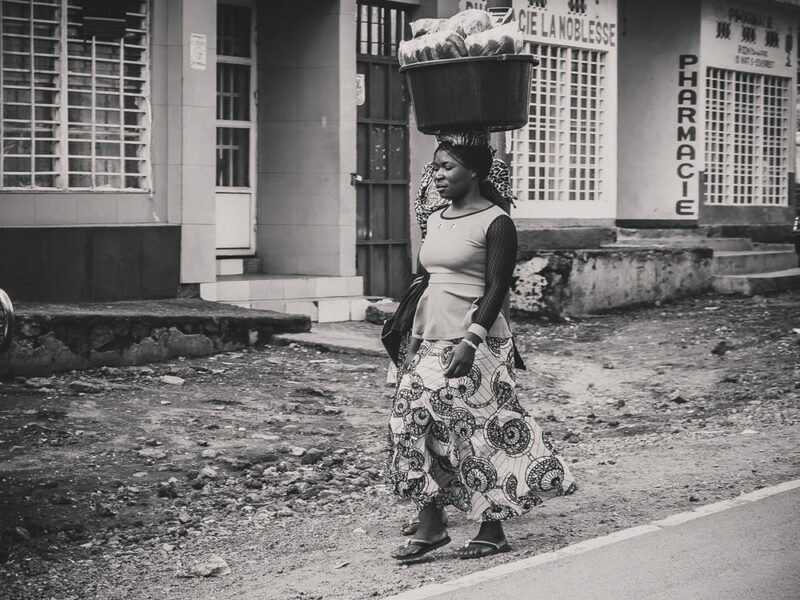 A congolese lady carrying loafs of bread. 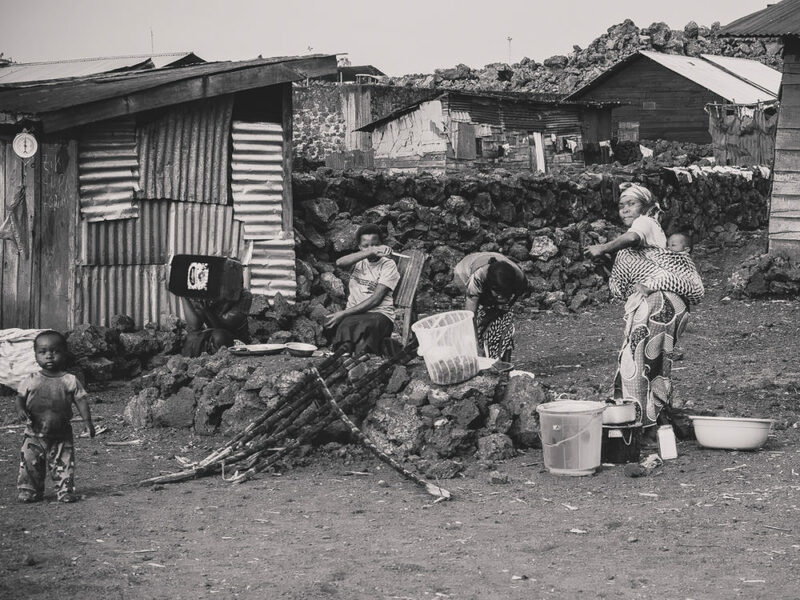 Women work hard in Cpngo, like in the rest of Africa. 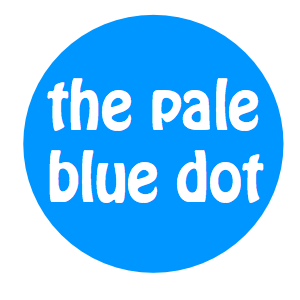 Three girls playing on a Sunday afternoon. 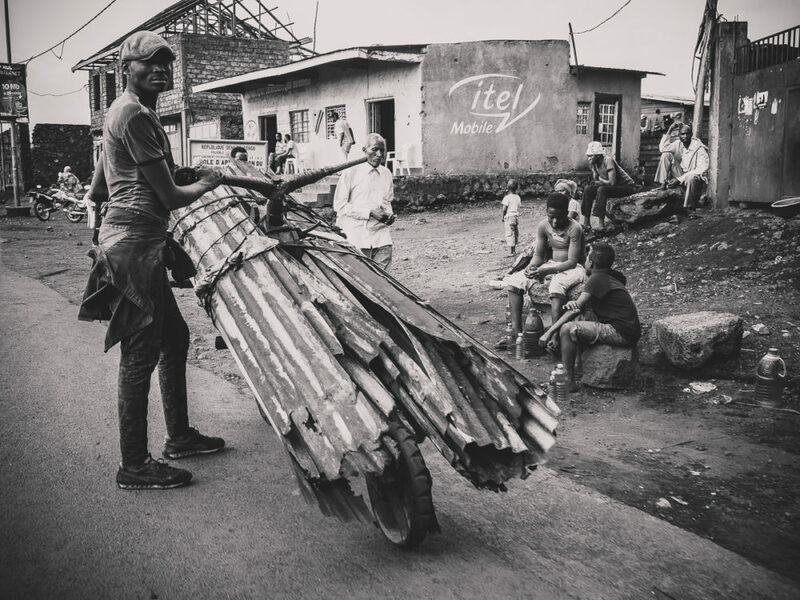 Carrying tin scrap with a tsukudu. 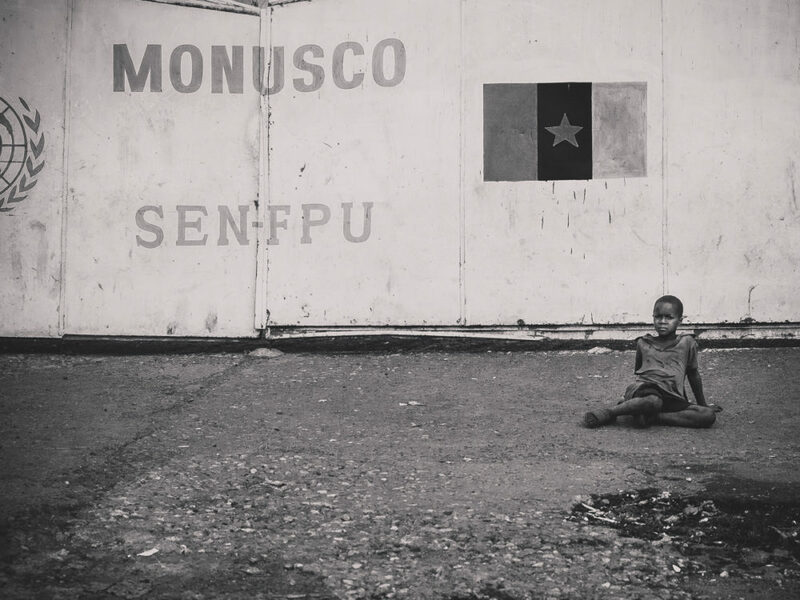 A kid stiing in front of the entrance of the United Nations Organization Stablilization Mission. 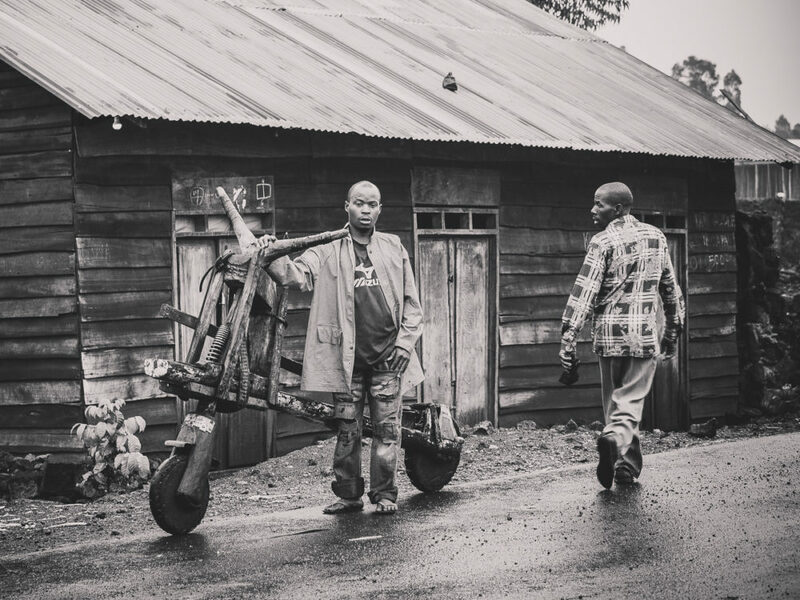 A motorcycle taxi, the most common way of public transportation in Goma. 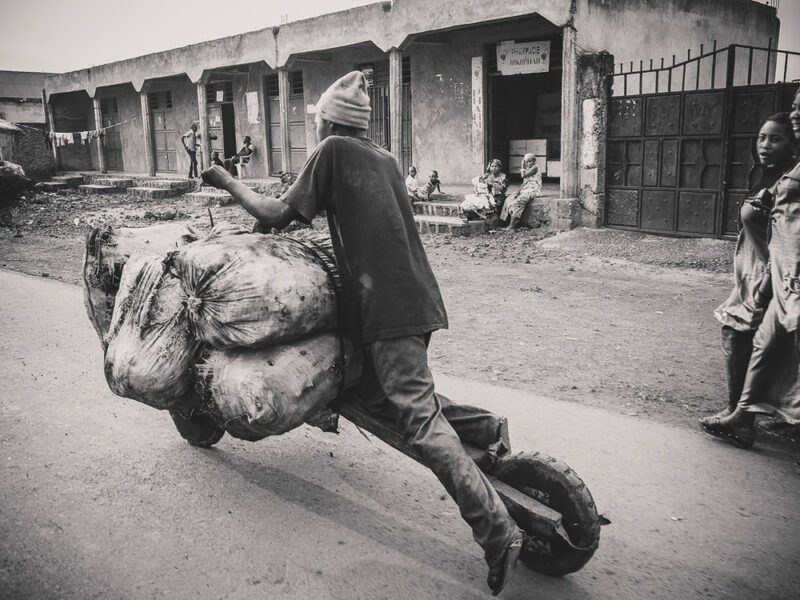 A man pushing a loaded tsukudu on one of the few paved streets. 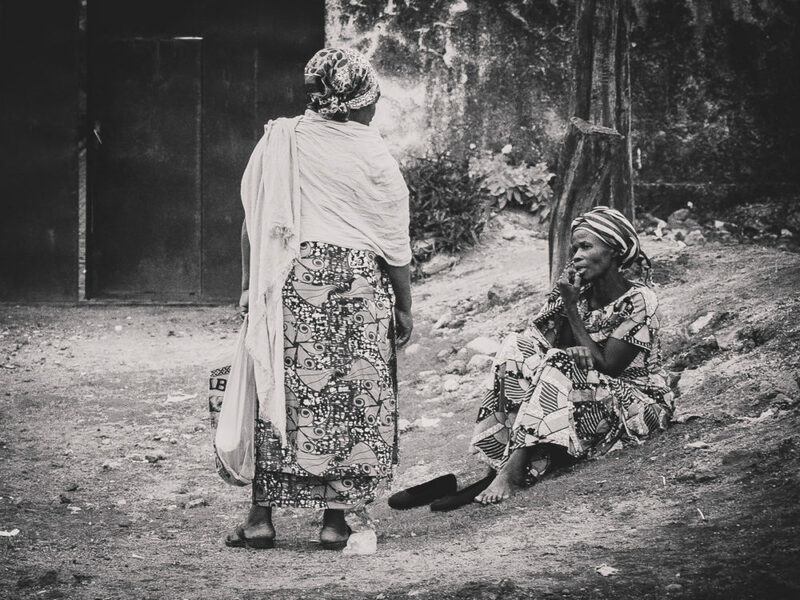 Two Congolese ladies chatting on Sunday afternoon. 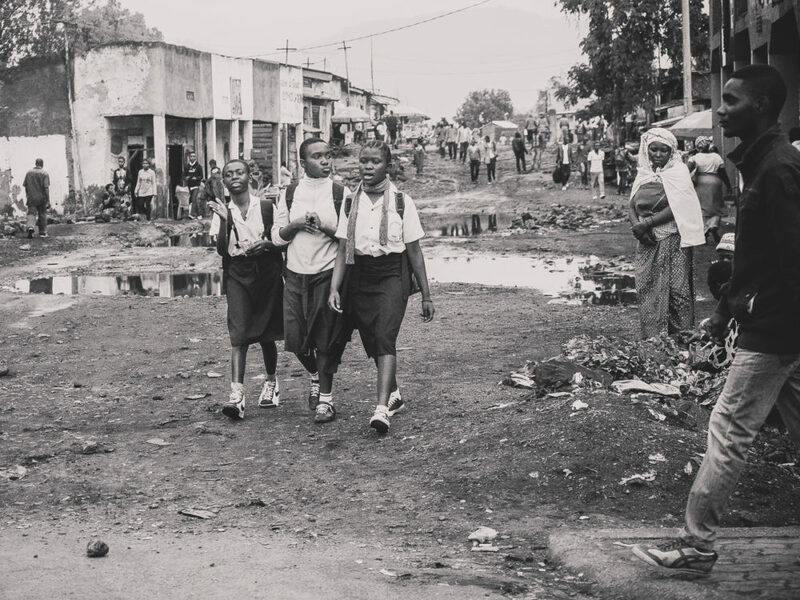 A man and his tsukudu, under the morning rain in Goma. 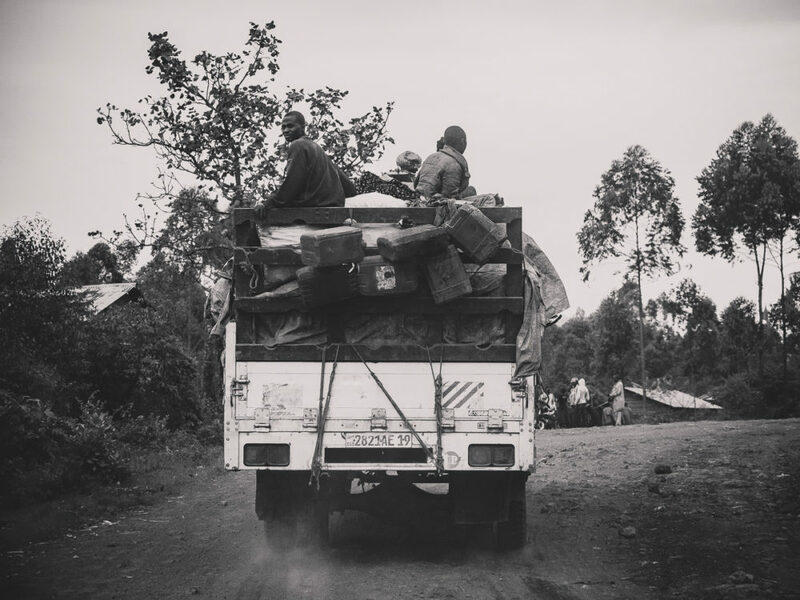 A truck loaded with goods and people, heading to Goma. 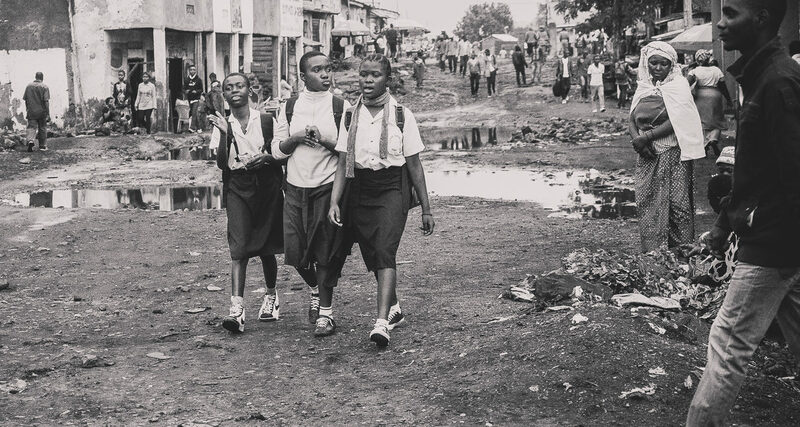 Three girls returning from school. 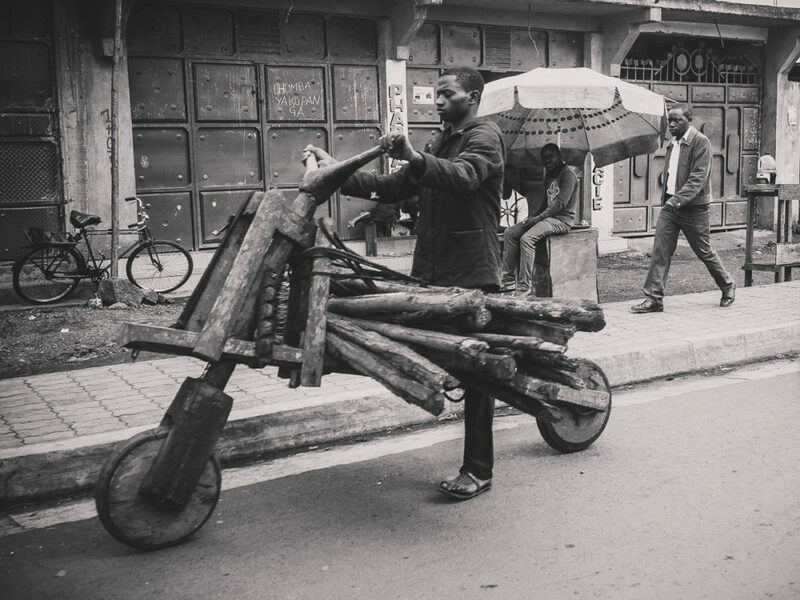 A tsukudu loaded with wood. 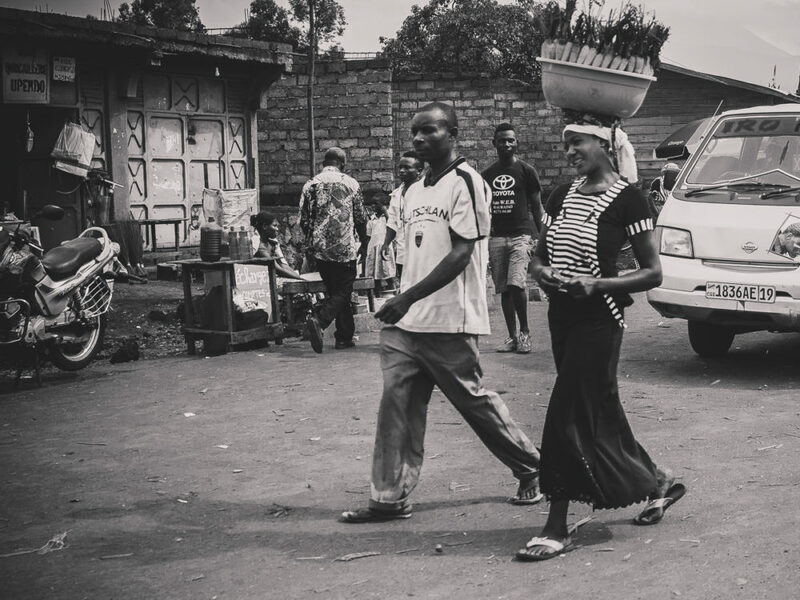 a local couple walking the streets of Goma on Sunday. 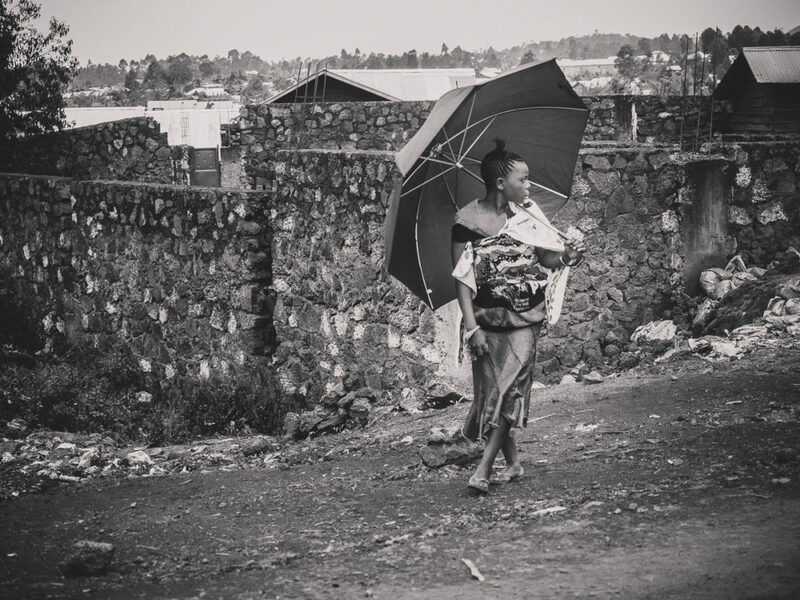 A young lady and her umbrella in Goma. 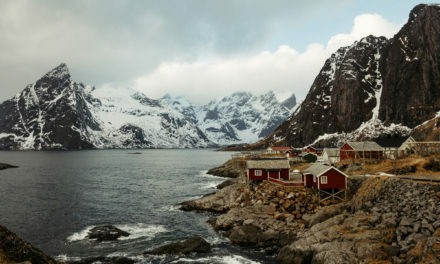 A typical movie theater in this part of the world. 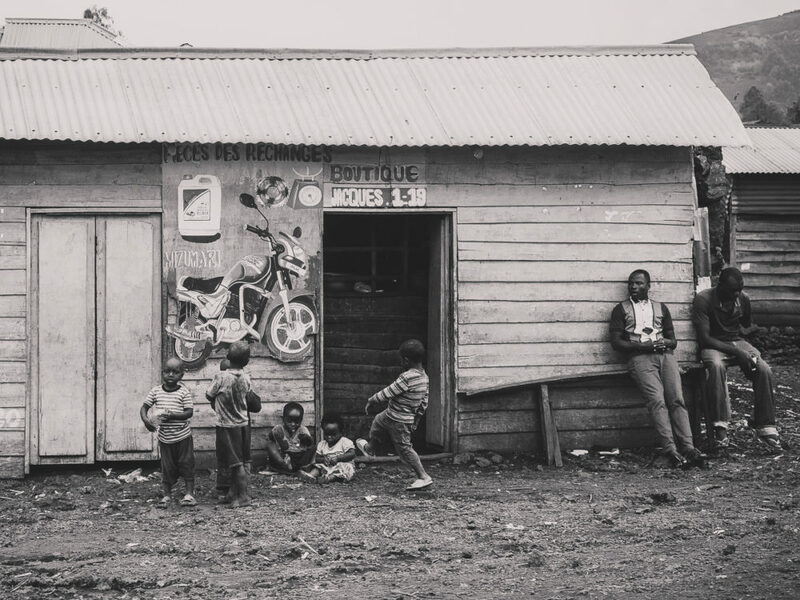 Kids playing in front of motrocycle repair shop near Goma. 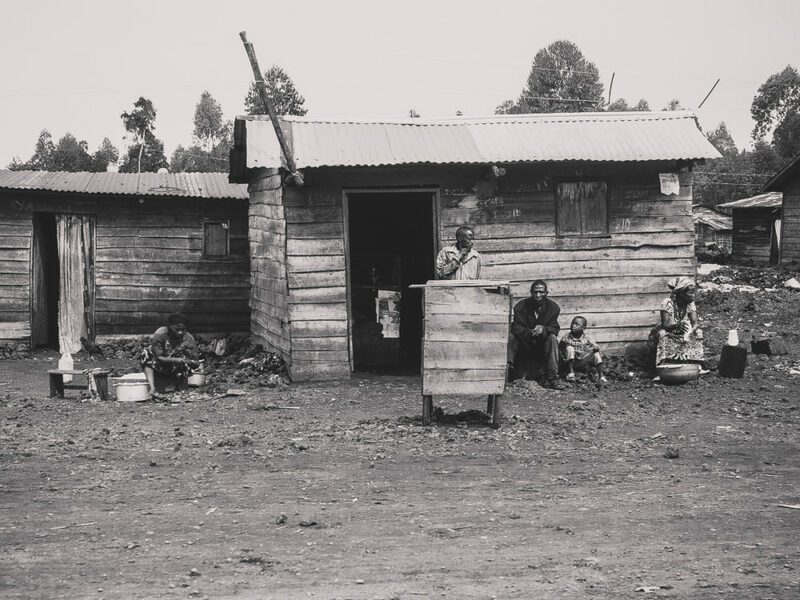 People sitting outside their home, a typical scene in Congo. 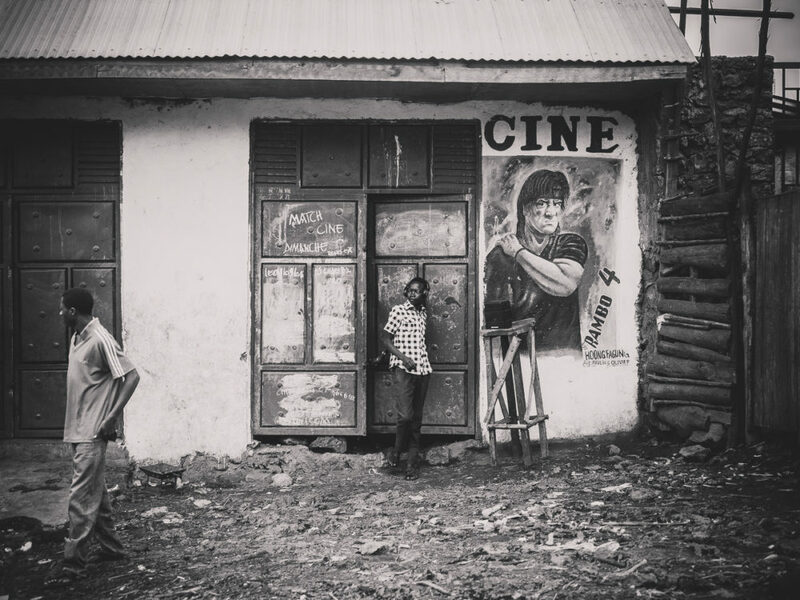 A movie theater for the entairtainment of the village youth, near Goma. 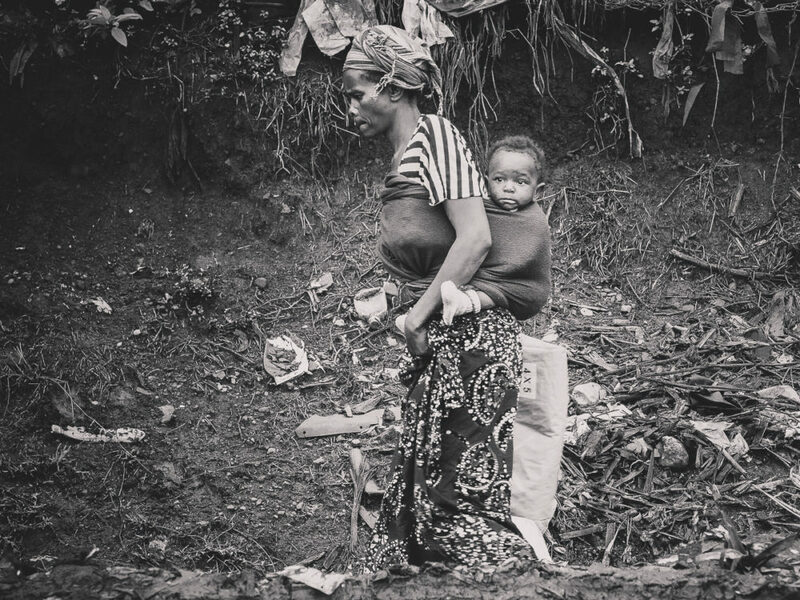 A woman carrying her baby, a frequent scene in Bukavu. 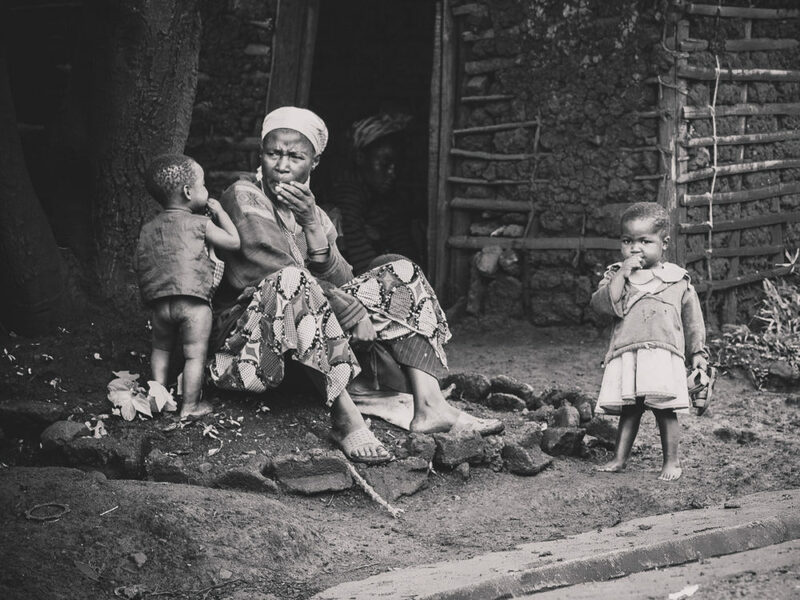 A lady with her grand children in a village near Bukavu. 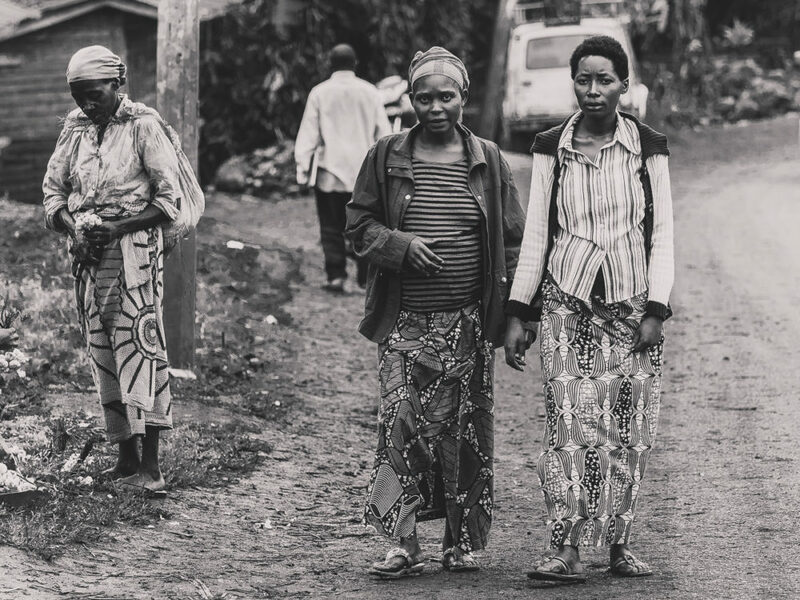 Ladies walking in a village near Bukavu in Congo. 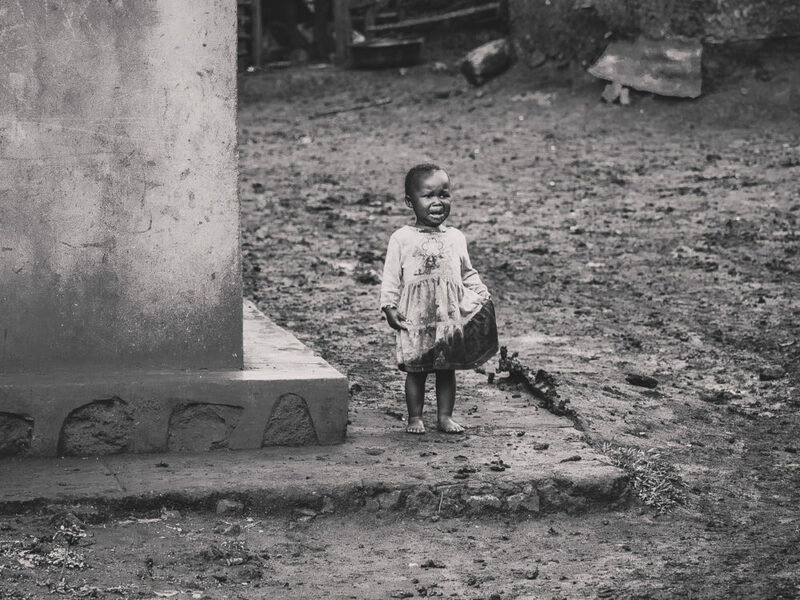 A young girl looking for her mother in the outskirts of Bukavu. 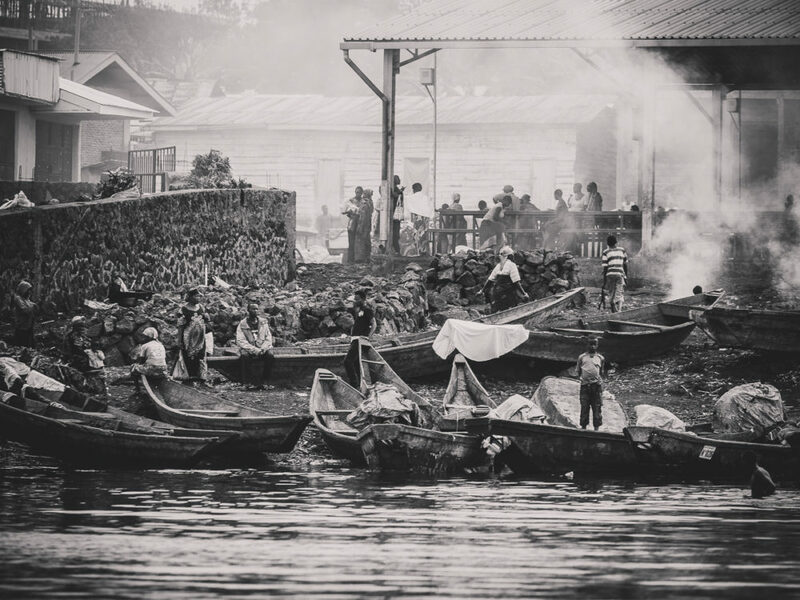 People going on their daily tasks by the lake in Goma. 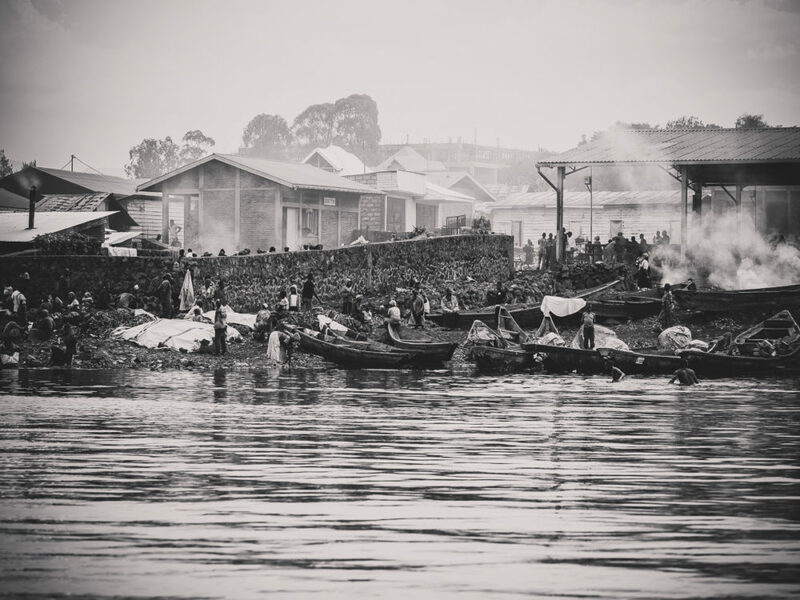 Lake Kivu in the morning, in Goma.